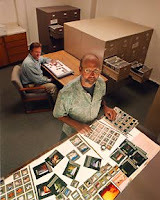 ANALOG to DIGITAL: Seven years ago, I had about ten 4-drawer file cabinets full of color slides. 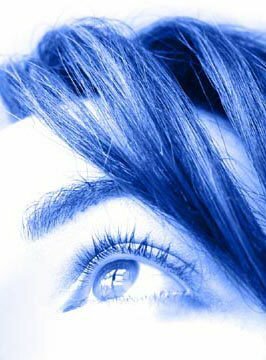 When I went completely digital with my photography in 2002, my computer hard drive was filling up about every six months. DATA STORAGE & BACKUP PROBLEMS: The solution to this huge data storage problem was to hook up two external hard drives to my computer and copy my digital camera files to one of the external drives, and duplicate those files on the second external, just in case there was a hard drive crash. When I filled up the two externals, I replaced them with two larger capacity drives or added two more drives. Copying every file twice is time-consuming, but necessary. I have found by experience that there are only two kinds of computer users: those who have lost their data, and those who are going to lose their data (unless they back it up)! I keep my computer's hard drive free of digital camera files, except for the Photoshop versions that I'm currently working on. Once I've chosen the best images from a photo shoot and have processed those images, those files have also been save to and backed up onto the two external hard drives. ENTER DROBO: That dual backup system changed when I bought the Drobo last Fall from Data Robotics. Now, I only store my digital camera files on ONE external hard drive - the Drobo. That's because Drobo gives me automatic redundancy (automatically writing the files on two separate drives within the Drobo unit). Even though my Drobo has two separate hard drives inside the unit, it acts and appears as one drive to my computer. Drobo goes beyond RAID array storage technology to protect data against a hard disk crash. As long as you have more than a single disk in Drobo, all data on Drobo is safe no matter which hard disk fails. VIDEO DEMO: Drobo holds up to four hard drives and can expand at any time. Drobo supports up to 16TB on a single volume as disk sizes increase. To understand how simply Drobo works, watch this short video featuring computer geek, Cali Lewis. (It was Cali's demo that sold me on the Drobo). 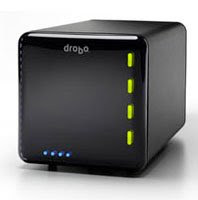 COST: A 4-bay Drobo unit costs $499. With two 1TB Western Digital hard drives the cost is $749. With four 1TB Western Digital hard drives the cost is $999. As your drives fill up, and storage becomes cheaper, you can switch-out the 1TB drives with higher capacity drives (up to 4TB each) for a total of 16TB. The second most searched term yesterday on Twitter.com was "DroboPro," Data Robotics' newly released storage solutions for business environments. The DroboPro can hold up to eight hard drives and is ideal for workstations and servers. Its cost is $1,299 without any hard drives. OFF-SITE BACKUP: I'm confident Drobo will keep my data safe from a hard drive crash, but it will not protect me from a fire or theft. To protect against these possibilities, I burn DVD's backups and store them off-site. This has become somewhat cumbersome, as a 4GB memory card will completely fill one DVD! My new solution is to backup the best shoots from each shoot on SmugMug (starting at $40 per year for unlimited storage). They back up my high-quality JPEG images onto a network of servers, and these files can be retrieved at anytime. I have a Pro account with SmugMug ($149) which also allows me sell prints and stock photo downloads of my images. For Photoshop, RAW, TIFF, and other computer data, you can use their SmugVault service for an additional 22 cents per gigabyte per month.